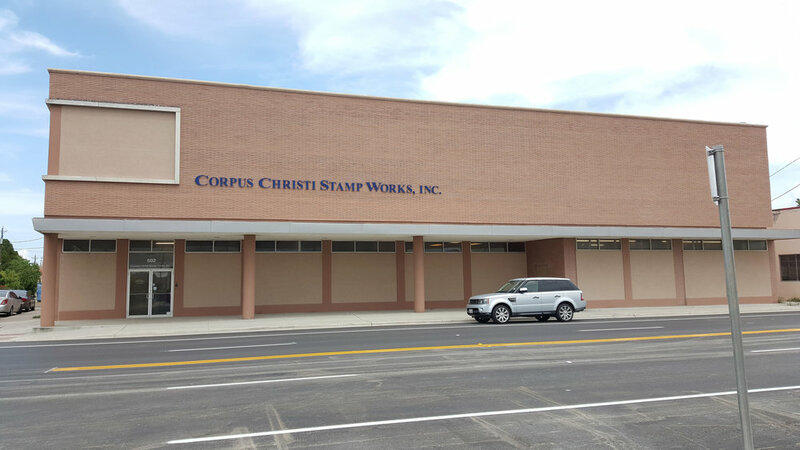 Corpus Christi Stamp Works, Inc. (CCSW) is the leading manufacturer of architectural graphics and sign systems in Texas. 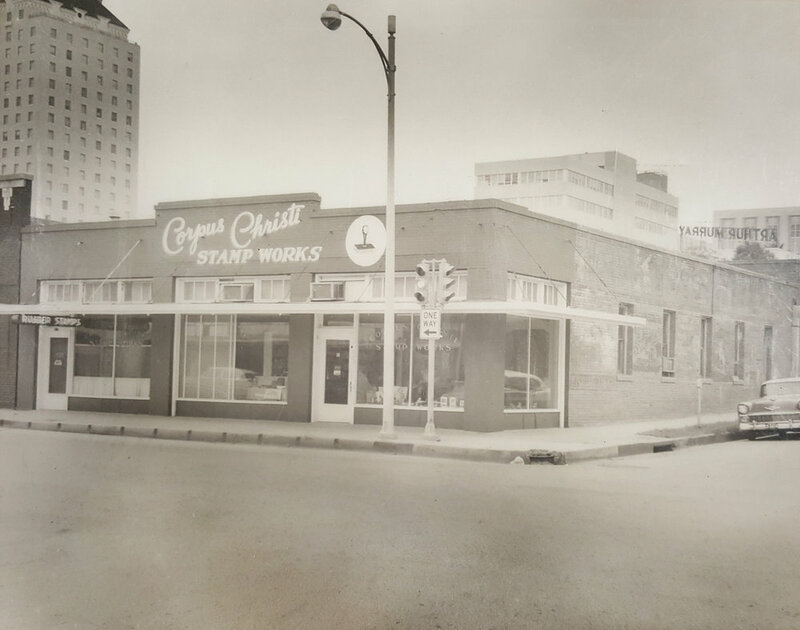 Two brothers, Wilson and George Southwell, founded Corpus Christi Stamp Works in 1949. The company specialized in designing and manufacturing standard and custom marking devices for the office environment, such as rubber stamps, date markers and seal embossers. Harry Lee Chester, Jr., nephew of George and Elsie Southwell, joined the company in 1977 and promptly took on a leadership role. He expanded the business by introducing and developing products, as well as services to cater to the wayfinding and signage system needs of architectural firms. In 2002 CCSW acquired South Texas Graphics Specialties (STGS) which was originally established in 1984. STGS services the greater Houston and East Texas areas. They specialize in sales, project management and installation. National Signage Affiliates is a DBA and is comprised of CCSW and STGS. Under Chester’s leadership of 40 years, CCSW has evolved into a complete source for identifying device products. CCSW is the fabricator/manufacturer of architectural wayfinding systems it's facilities located in Corpus Christi, Texas. Our Houston, Texas office still manages the greater Houston and East Texas areas. Our signage products can be found in many states throughout the U.S. in both interior and exterior environments. Our corporate headquarters and manufacturing plant located in Corpus Christi, Texas, operates from a 36,000 square foot facility state of the art equipment and technology. In 2006, CCSW received the Better Business Bureau’s Torch Award for Marketplace Ethics. The BBB Torch Award is designed to promote not only the importance of ethical business practices, but also the willingness and efforts made by outstanding businesses demonstrating a solid commitment to marketplace trust. Since 1951, we’ve met BBB standards of trust with an A+ rating. We value our customers and we are committed to maintaining high ethical standards of conduct. We are HUBZone certified since 2010. The HUBZone program encourages economic development in historically underutilized business zones and promotes economic development and employment growth in distressed areas. Our LEED compliant signage systems, couples with implementing an in house recycling program, makes our environmental footprint extremely small. As a steward of our environment, we are committed to reduce, reuse, recycle, reengineer and re-examine, all while maintaining our high standards of product quality. Who are the people behind CCSW? We are a dedicated and experienced team of estimators, project managers, designers, finishers, fabricators and installers. We believe in producing high quality products and we are here to help you with your project every step of the way. The market sectors we specialize in include educational, healthcare facilities and federal institutions. We work with architects, general contractors, business owners, doctors, lawyers and teachers. Some of our projects include Randolph Air force Base, Museum of the Pacific War, Spohn Shoreline Hospital and Texas A&M University. While we have grown expeditiously, our core values have not changed. We believe in producing high quality products with exemplary customer service at a fair price to all.